We've not had much warm weather so far this spring, it's been very changeable. Every five minutes, a new condition: rain, breezy, sunny, cloudy, hail, chill, you name it. Yesterday, on the way home from dinner in Malmö with Anders' mom we saw several rainbows. One of them was huge and simply perfect; you could see ALL the colors. Even Anders (who is color-blind), said he thought he could actually see red. Usually all he sees is blue and yellow: all his rainbows are Swedish! 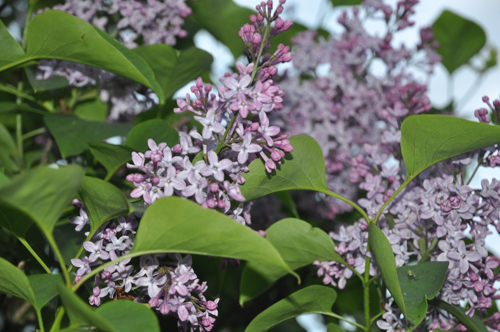 It's lilac time, my favorite. They smell so lovely outdoors. We don't have any, yet, in our yard, though we have plans, but along the ditch in the back there are several bushes, so we get to enjoy them regardless. I was out watering pots and garden beds at sunset the other day and Karin came home in time to grab the camera and capture some of the light. It's been a crazy couple of days, a busy weekend, and next week is insane: I have something planned every evening! Today is Swedish Mother's Day and my family gave me beautiful flowers, Reese's and a DVD box set of all the BBC Dickens movies! WOW! We're going to spend the afternoon with Anders' family, but for now I'm going to relax a bit. It's been ages since I saw a rainbow. They always bring a smile to my face as I remember my childhood attempts to find the end with the elusive pot of gold. I giggled at Anders' "Swedish rainbows" - very patriotic. The photos are lovely. I join you in loving lilacs and this year with the cooler weather, they have flowered more gradually and the blooms have lasted longer I think. That heady perfume in the neighbourhood is intoxicating. Is that blue flower a columbine? It's very pretty! And I did a double take at the cat, thinking you'd sneaked one in while Anders was away - but I see it was just in your yard, checking out the bird feeders. Happy Mother's Day! Enjoy your day of rest before the hamster wheel of life starts up again. We get rainbows here all the time, even double ones, quite often. Of course you can suss out that means we also get a lot of rain! 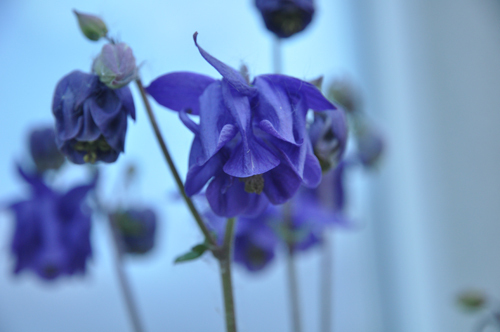 The blue flower is indeed a columbine. We have 2 and a couple of white ones that are growing wild in the front garden. I love them. They came out of nowhere. I thought Anders had accidentally dug them up a couple of years ago but was very glad to see them back! 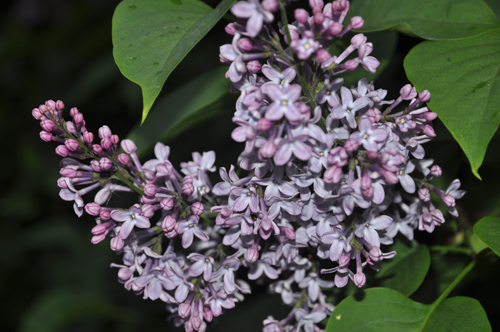 Thank you for posting the photos of the lilacs. Sadly, our lilac tree was too overgrown and deformed with big blobs going every which way including through the power lines, so I had to cut it down. I'm hoping it will send up new shoots and make a nice full bush. Maybe it will flower in a couple of years but not this year, I'm afraid. 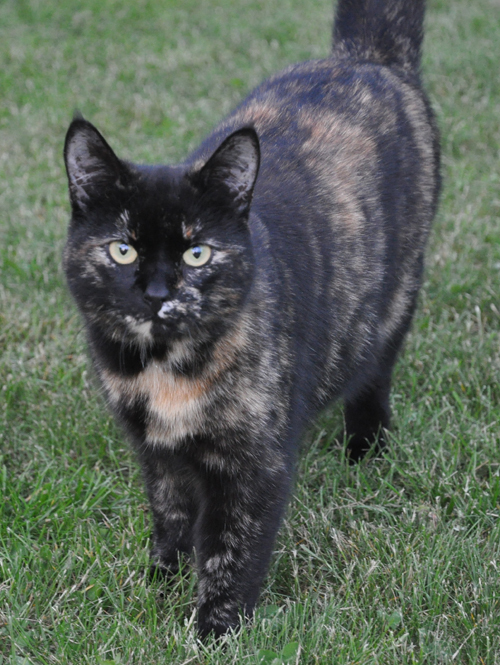 ps You have a really cute neighbour, there. 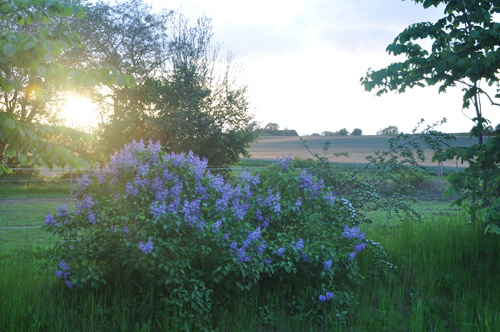 Which reminds me that I found out this week it might be my neighbour's lilac tree that I cut down. Oops. 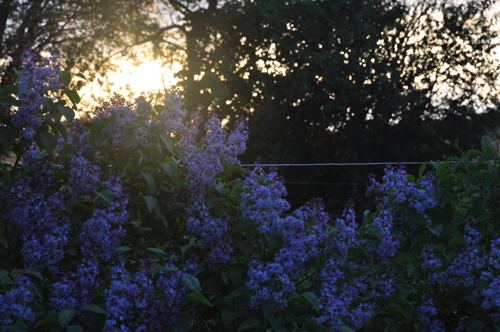 There is a big long hedge of lilacs along one neighbor's yard on the way out of the village. He cropped it down a couple of years ago...seriously cropped, and it has yet to flower again. I sure hope it comes back! 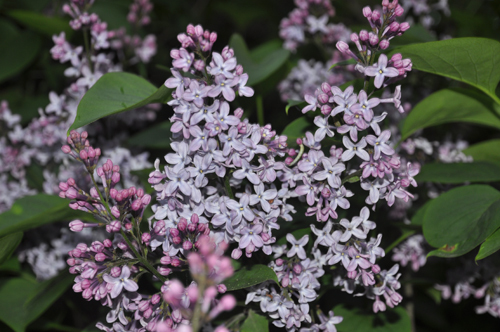 Lilacs are my favorite too and this year, just due to stupid timing with rain and work, I basically missed the days our bush's blooms were at their peak. That bush looks fabulous!